The philosopher René Descartes spoke of animals as being like machines, having no feelings and no souls. So if this is what scientists believe why do they continue to use animals in tests for behaviorism? 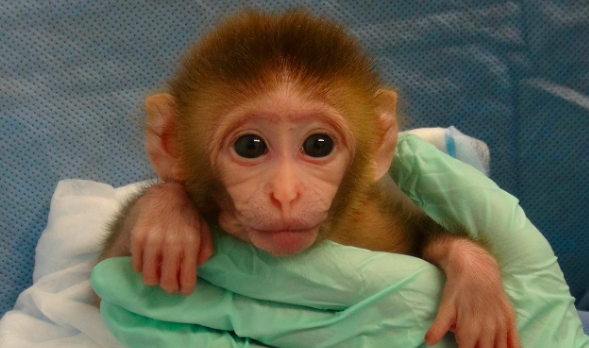 And if scientists do believe an animal has feelings why would they torture this sentient being? Zoos choose to exhibit animals for a variety of reasons. One of them is beauty. 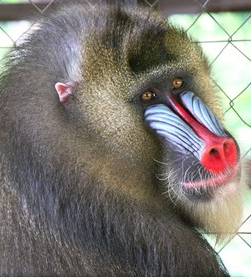 Mandrills, who live in the tropical rainforest of central Africa, have so colorful faces that they stand out against their grey fur. Therefore, they are a big attraction in many zoos. But also people in the central region of Africa like to have them as pets. As with other animals in the wild, catching one means the death of many. The Jane Goodall Institute not only has a Chimpanzee Rehabilitation Program, but also one for mandrills. Would There Be Chimpanzees Left Without Jane Goodall? Without Dr. Jane Goodall there might not be any chimpanzees left in our world, at least not in the thick forests of Gombe. Jane Goodall saw the responsibility the project for saving the chimpanzees had to also help humans sharing the space around the animals. If the humans would not understand how important the survival of these animals was, there would be no way to successfully come to the aide of the animals. 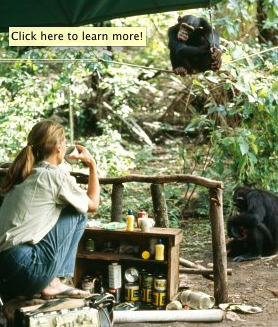 “When Dr. Goodall first stepped foot in Gombe, the forest was lush and stretched on for miles. However, as the decades passed, human encroachment has steadily crept toward Gombe National Park and swaths of deforestation surround the once pristine forests. 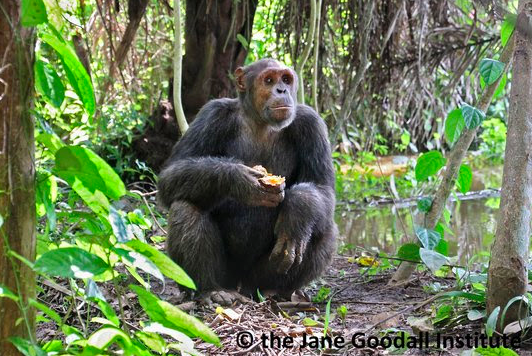 How Does Education for Girls Help Chimpanzees? What does education for girls have to do with the welfare of chimpanzees you might ask. If families do not have enough money to send their children to school these children will not be able to learn about environmental issues and how to preserve the forests in which the chimpanzees live. Some families might have some money and will then decide to send one child to school. Very rarely will this be a girl if she has a brother. This often leads to something fascinating when and if these girls get a chance to learn: they thrive, they learn with extra ambition, and empathize with those who have little chance of survival. In many rural communities throughout Africa, girls must take a back seat to boys when it comes to education. Due to limited economic resources, families often have to choose which of their children are sent to school and who will stay to help the household. In the vast majority of these cases, boys are selected to attend school while girls end up remaining in the home. Many of these girls are encouraged to marry early and start a family, further decreasing their chances of getting an education. To address this issue, the Jane Goodall Institute (JGI) launched our Girl’s Scholarship Project in 1998 to provide girls and young women with the resources they need to attend school. This project is aimed at decreasing the disparity of education levels between males and females in the Kigoma community of western Tanzania. The Jane Goodall Institute is well-known for there exemplary research, rehabilitation, and rescue programs of chimpanzees. “Kefan is a male chimpanzee who lives at JGI’s Tchimpounga sanctuary in the Republic of Congo. Recently, Kefan made an exciting move from the current, over-crowded santuary site to Tchibebe Island, one of three lush, forested island habitats JGI is readying for the transfer of over 100 chimpanzees. Kefan is extremely gentle and calm, and it is these characteristics that made him an excellent candidate for release onto Tchibebe. Kefan is now able to roam the forest of Tchibebe with other chimpanzees, climbing trees and foraging for food in a completely safe environment. The only individual who is not so happy about Kefan’s move is Kefan’s friend, Yoko. Yoko is a shy, low-ranking chimpanzee who frequently looks to his friend Kefan for protection when the other chimpanzees in their group got a bit too rambunctious. Generous Kefan would also often share food with Yoko. But now, with Yoko still living at the old sanctuary site, they are separated.